Iconic French perfumer diptyque chose Wynn Plaza Shops for its newest location, which Julien Gommichon, president of diptyque, Americas, deems an ideal partnership. “Over the past decade, Las Vegas has developed into an international cultural destination with a unique and unparalleled retail experience,” he says. “We have been searching for several years for opportunity in Las Vegas that aligns with diptyque’s unique heritage, and we finally found the perfect partner with The Wynn’s retail expansion in The Plaza.” The luxurious new location boasts a custom piece of artwork by French textile artist Janaina Milhiero (a tradition among new locations) complementing the brand’s sophisticated, rich-scented candles, fragrances and various accessories on display. As for exclusives gets, two must-haves are topping our list: The coveted Paris Candles which are only available outside of Paris once a year and so popular they sold out seemingly in an instant; and the 34 Collection, which pays homage to the original flagship boutique located at 34, Boulevard Saint German. 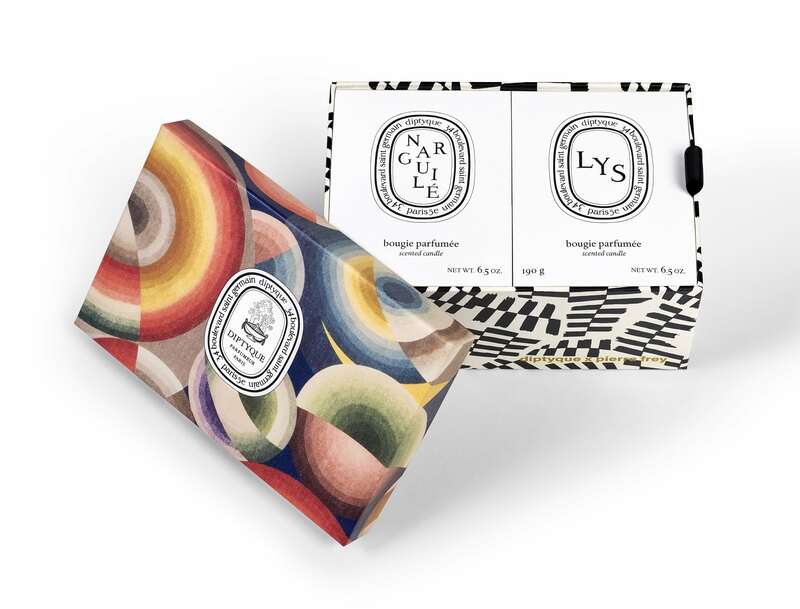 With spring in our midst, the brand adds two new candle scents to the diptyque repertoire—the Lys (Lily) and Narguile ($65 each)—launching as part of a fab collab with design house Pierre Frey, who designed the limited-edition custom packaging for the collection. They are the first new candles to be added to diptyque’s permanent collection since 2016. Stop by the boutique for a consult with the brand’s fragrance specialists and you’re sure to be turning heads as you leave.